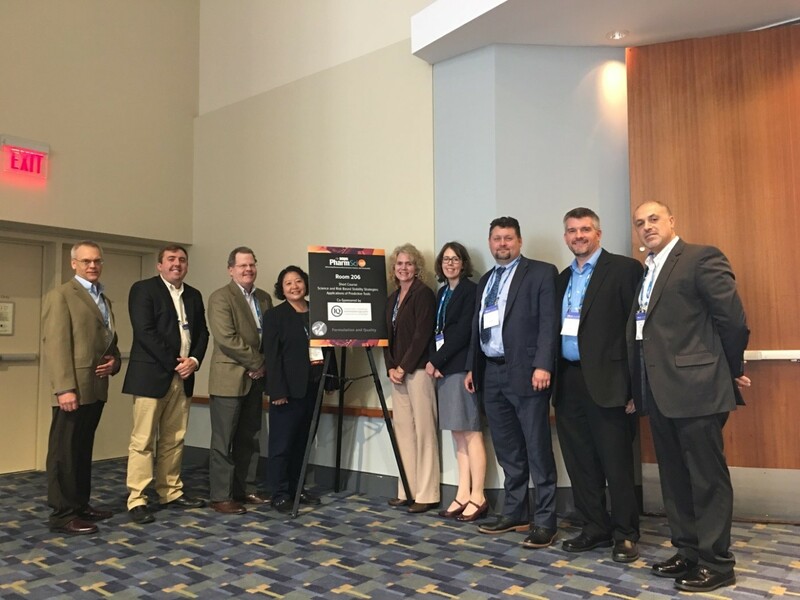 IQ Consortium at 2018 PharmSci 360 - "Science and Risk Based Stability Strategies: Applications of Predictive Tools"
IQ Consortium working groups on Risk-Based Predictive Stability (RBPS) and Lean Stability successfully collaborated with the AAPS Stability Community for a well-received Short Course on Nov 4, 2018 at the PharmSci 360 annual meeting titled "Science and Risk Based Stability Strategies: Applications of Predictive Tools". This short course was designed to clarify the applicability of science and risk based stability approaches in the optimization of stability protocols in order to develop an in-depth knowledge of the stability performance of pharmaceutical products (APIs and drug products). The speakers used this opportunity to discuss when and where to apply science and risk based predictive stability approaches in product development, explored how science and risk based predictive stability approaches can be aligned with regulatory guidances, and shared case studies of where science and risk based predictive stability approaches have received acceptance globally from regulatory agencies. Presentation topics at the short course included an overview of accelerated stability modeling and its applications in product development, conducting appropriate stability risk assessments, defining meaningful stability parameters, the applications of accelerated stability modeling tools in regulatory filings, and how to apply science and risk based stability strategies globally. A panel discussion at the end of the short course reviewed the various topics of the day and included potential future applications for the approaches.